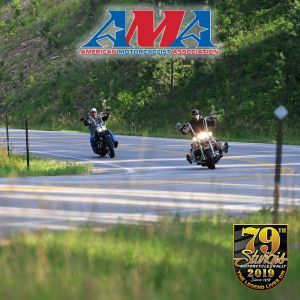 PICKERINGTON, Ohio -" The 2019 AMA National Gypsy Tour, a series of premier road-riding events, includes some of the country's largest and best known motorcycle gatherings. Motorcyclists gather for an AMA-sanctioned ride during 2018 Laconia Motorcycle Week. Photo by Laconia Motorcycle Week "This year's tour kicked off with the AMA Gypsy Tour at Bike Week in Daytona Beach, one of the biggest rallies in the nation," said AMA Recreational Riding Manager Heather Wilson. "The tour continues in April with the Laughlin River Run in Nevada and moves on from there.